GEOSET » How does a transistor work? View How does a transistor work? A short video explaining how transistors work. At the heart of our high-tech society with radios, mobile phones, computers and space exploration are tiny electronic components called transistors. They have revolutionised electronics and in the process the world we interact in. The Internet for example would be inconceivable without the transistor. 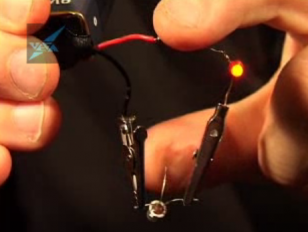 With very simple demonstrations we show how the transistor works and its amazing amplifying action.